Basically, oatmeal is rolled, instant or chopped oat groats. By this we mean your normal typical oat groats with the husks removed or peeled off. Glycemic index is used to measure the sugar level in a given food substance. On a glycemic index scale, oatmeal is rated low meaning this meal can be very useful to people with diabetes since it can help maintain glucose levels in the body. Be on the alert, as much as we have stated that oatmeal is sugar-free, if prepackaged they can add in artificial flavors and sugar. Insulin is produced by the body to help regulate blood sugar levels. One is diagnosed with diabetes if the body is unable to produce insulin or body cells develop resistance to the effects of insulin. When it comes to diabetes you should always ensure that you eat healthily. Try as much as possible to avoid eating foods that have high fat and sugar, on the contrary, you can eat foods rich in nutrients and fiber to ensure you maintain a healthy body blood sugar level. To diabetic people, oatmeal is highly recommended due to its health benefits. You may still want to know that can diabetics eat oatmeal? When you mention the word oatmeal, what comes to most people’s mind is breakfast. To both the diabetic and non-diabetic, oatmeal makes a very delicious breakfast which is basically oat kernels with the husks removed. Preparing oatmeal is relatively easy; it is cooked with liquid mixed in and has to be served warm. As a way to supplement the diet, oatmeal is often served with fruits or sweeteners. For those of us who don’t have so much time in the morning, you can prepare oatmeal on the previous night and only reheat it in the morning. The glycemic index is used to show the sugar levels on a given food substance. In its pure form, oatmeal has a low glycemic index while is particularly very important to people with diabetes. Oatmeal helps in maintaining low blood sugar levels and reduces the amount of insulin needed by the body. Given that diabetic people are prone to heart diseases, oatmeal should be an essential meal since it helps reduce the risk of getting a heart disease. It promotes a healthy heart since it has a low cholesterol level. Rich in fiber helps in digestion and bowel movements and at the same time weight management. Normally, if you consume the right kind of oatmeal and that is the pure oatmeal there are no negatives. However, if you consume the kind of oat oatmeal with additives and sugars there will be some cons. 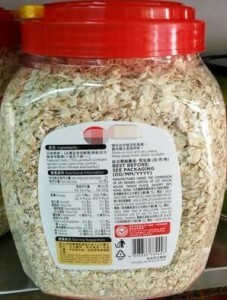 For diabetic people with gastroparesis which is a condition caused by delayed gastric emptying, consuming oatmeal which is very rich in fiber can be very fatal. Bloating which having a gas filled in your stomach due to the high fiber content. You can reduce bloating by drinking plenty of water. Add-ins containing sugar and artificial flavors affect the blood sugar levels. Oatmeal can help manage the blood sugar levels in the body but, this will only happen if everything is prepared and done correctly. Add nuts: while preparing oatmeal adding 1-2 tablespoons of almonds, walnuts, and chopped pecans will add the much-needed proteins to your diet. Cinnamon: Cinnamon helps in the reduction of insulin resistance in the body cells, as a result, helping in the regulation of blood sugar levels. It also has antioxidants and anti-inflammatory properties which helps minimize the risk of having a heart disease. Water or low-fat milk: the main goal is to avoid fats and sugar as much as possible. By using low-fat milk you get the essential milk nutrients without worrying about the fat in it. As much as most pediatricians recommend oatmeal to the diabetic, there are a few things that you should never do while preparing the meals. Don’t add too much-dried Some fruits are very rich in carbohydrates, adding a lot of this can actually raise your blood sugar levels other than reducing it. Don’t use instant or prepackaged oatmeal: choose carefully on the oatmeal you purchase to avoid any flavored oatmeal with a lot of added sugar and salt. Is Oatmeal healthy for people with diabetes? The answer to this question is a big, yes! Oatmeal is a very healthy meal for the diabetic. The best kind of oatmeal for the diabetic being the one with no added sugar and have a low glycemic index. Portion size: as stated earlier, oatmeal has a low glycemic index; however, if you consume more of it you are likely to increase the glycemic load which is basically how much a certain portion of a particular food is likely to increase your blood sugar levels on consuming it. Oatmeal is very rich in carbs so you should ensure that before considering having it as your diet you need to first have yourself tested to see how your blood sugar levels respond to carbs. If you are advised to stick to a low-carb diet then oatmeal isn’t your thing.